Johanna Black Leather Shoe. 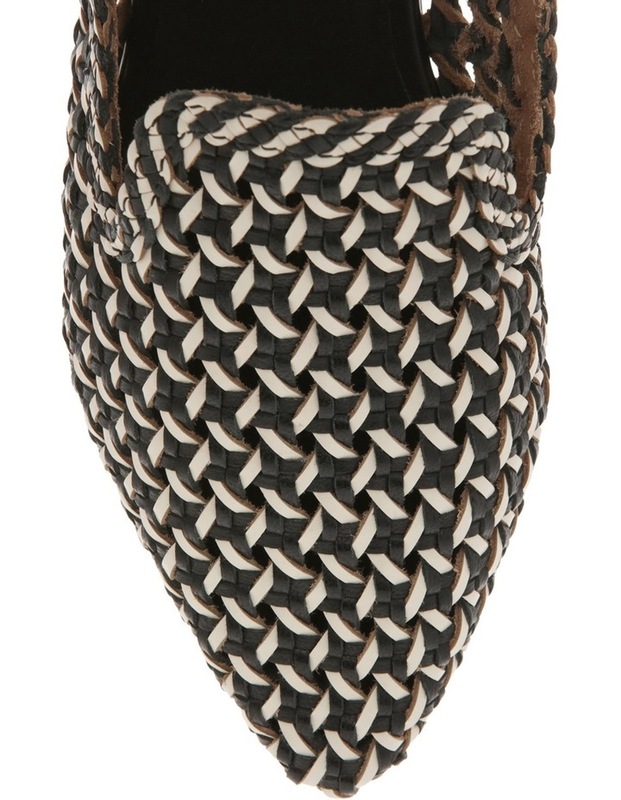 Flat mule with intricate woven leather upper. 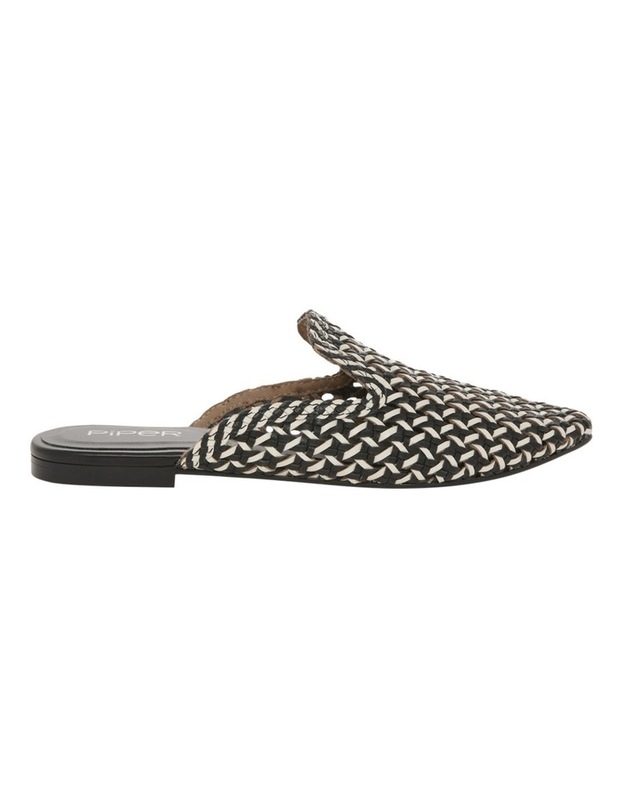 Materials: Leather upper, non-leather sock and outsole.